I have traveled and lived in many countries in my life but few places left me with such amazement. 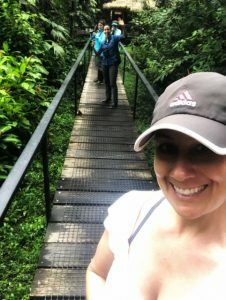 Ecuador: My amazing trip to the Amazon Rainforest, Cotopaxi and Galapagos Islands. I loved this adventure vacation for so many reasons. It was truly incredible, a once in a lifetime experience of adventure and learning. Although, there was an itinerary for Ecuador, the Amazon Rainforest and Galapagos Islands I still wasn’t sure what to expect exactly. I tend to gloss over things not paying too much attention to details. I prefer exploring and having new experiences with little to no preconceived notions about them. To me that is part of the excitement, the adventure of it all. My good friend, Maria is the opposite of me, she likes to plan and be prepared. Good thing too, because she helped me to prepare a bit more than I normally would have. It was also Maria’s friends who have the travel agency that put together this adventure for us. They were so nice and even met us at the airport when we arrived at 1:30am in Quito, Ecuador. 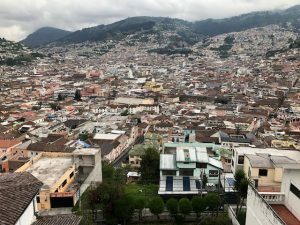 We flew into Quito Ecuador where we spent a couple of days and, I experienced my first bouts of really feeling the altitude. I experienced altitude sickness as well, during my trip to Peru a couple of years ago when hiking in the Andes and to Machu Picchu. The first day was more of a rest day from the long trip as well as, seeing some of Ecuador’s capital city with Maria’s mom. Maria is originally from Ecuador and has family there. It was interesting that first day as there was a planned strike in the center blocked off by the police. We didn’t see the actual see the people striking but it did remind me of a time in Spain where a mob of people stalked the streets chanting their outrage in the form of a strike. Aside from the blocked streets and strike area, there are some pretty parts of the city worth seeing. Great food to eat and lot of places to walk. The day after we were up fairly early and ready to go on our first adventure of hiking Cotopaxi volcano. We were going to hike up to the Refuge part only though which was up already up to 16,000 feet. We had no time to acclimate so we forged ahead thinking we are badass athletes! 😉 I was experiencing some more altitude issues at this point but ignored it. 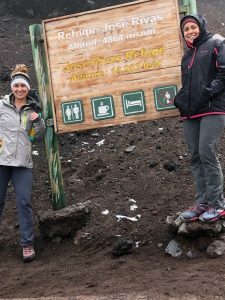 I mean what else can you do when you want to hike a Volcano with little time to do so?! The drive up to the parking lot proved to be a challenge as the road conditions were not so good. We finally had to stop further down the road and just start our hike earlier than expected. The breathing was very hard but since my friend and I are in such good shape we plowed on (imagining ourselves to be badass superheroes on a mission). It was definitely rough due to the altitude though! You really felt the it but, at the same time it was exhilarating as well. There were quite a few others around trying to make their way up too, we were all motivating each other onwards and upwards. There was some rain, sleet and wind not to mention it was cold. But, we made it with a little dizziness at the top and a lot of deep breaths and some stops along the way. It was so fun! On the way back down I decided it would be fun to run and take some jumps into the volcanic sand that makes the path. I had the best time but it probably was not the best thing to do for the altitude issues I had later on. The adrenaline spurred me on though with my superhero mindset! After we got back down to the car we had our next activity which was going to a rose farm. Did you know that most of the roses you buy come from Ecuador?? No? Neither did I. It was so interesting to see this farm, how they package them and learning about the different colored roses as well. Funny, I’ve always wanted to go to the Amazon but in my limited vision of it I had always thought it would be in Brazil. I don’t think it really dawned on me until we were on that motorized partially covered boat in the Napo River that I was actually going. This realization had me grinning from ear to ear as I sat there looking at the water, in awe that what I’d put into the universe came back in a way I had not expected, but felt very blessed to receive. We started on a plane from Quito then bus to our meeting point with other guests of Sasha Lodge. We then by way of motorized boat for 2 hours on the Napo River. 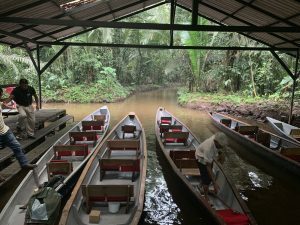 After that boat ride we walked for about 30 minutes in the rainforest to some canoes to take us deep into the rainforest to Sacha lodge. On our way in the canoes we saw monkeys in the trees to greet us. 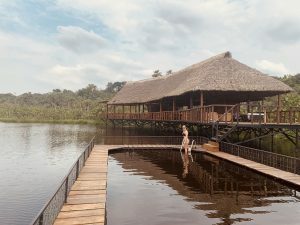 We arrived to a larger lagoon and there you see the hut type dwellings that were our lodges for the next few days. It was amazing and so exiting to see. Of course, there was no A/C , lots of spiders, bugs, humidity, caiman, and a host of other insects so, it’s definitely not for the faint at heart. The experience was incredible for us though. We loved Sacha lodges and the guides we had for our little group. We had 2 guides, one who had worked for them for over 24 years and was an impressively strong 64 year old able. He would climb trees and knew everything there was to know about the wildlife, trees and the healing properties of the jungle. The other was a young girl with only about 6 months under her belt, but impressively knowledgeable and a lot of fun. Also included in our little group were 2 older ladies from Nebraska. They were awesome as well! We had the best, fun group! We had morning and afternoon daily activities. 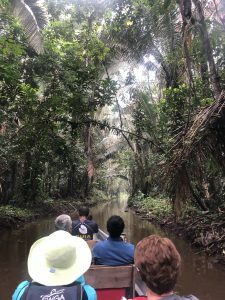 Hikes into the Amazon, canoe rides deep into the jungle, meeting & learning about the natives, how they lived, what they would eat, how they killed their prey and, how they built their homes from incredibly strong leaves in the Amazon. The food at the lodges was always delicious! We had local foods of root vegetables, hot sauces, fish and various other delicious foods. Surprisingly, we ate a lot! It was very good and felt refreshing to be in open huts with the views of the lagoon and jungle. And, at night when we’d sleep we’d fall asleep hearing all the jungle sounds. I think what surprised me the most about the Amazon is how the whole ecosystem is interdependent. Anything needed to sustain itself is there. Medicines, poisons, food etc, it’s all there! In the western world people are taking daily doses of pharmaceuticals left and right for health problems that have a mile long unhealthy side effects list. However, in the Amazon you can use a piece of the bark or leaf from a tree to aid in the infertility of women and men. It is not just given to women but men can use and benefit from it as well. It’s truly amazing. We can learn from the simplicity of this ecosystem. I always thought of Piranhas attacking people because of horror movies I enjoy watching but, in actuality it is a myth. They don’t attack people and you can swim with them. We have more horror movies of people dying in the Amazon by huge Anacondas or spiders attacking you but this is also just Hollywood not reality. (Can you tell I’m a horror movie fan?!) But seriously, nothing just attacks unless feeling threatened first. It’s very interesting and being in the thick of it definitely takes some of those fears away. I am very thankful I got to experience the reality of what the Amazon Rainforest is like. The beauty of it including the spiders, insects, monkeys, exotic birds, scary Caiman, anaconda and so much more. 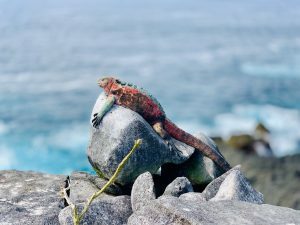 Next up the Galapagos Islands and wow, these islands were incredible! We only got to visit a few of them though as there are too many of them for the 5 days we had. The Galapagos Islands comprise 18 main islands, 3 smaller islands and 100 rocky islets and outcroppings. The islands are known for large number of endemic species and were studied by Charles Darwin. Darwin got some of his idea on evolution from his studies here. The Galapagos became a national park in 1959 and attracted more tourists in the 60’s. 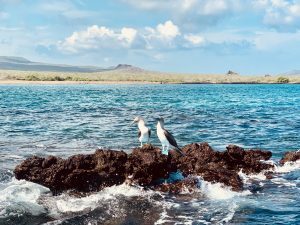 Visiting the Galapagos Islands feels like going on national geographic tour or, walking into a wildlife documentary. 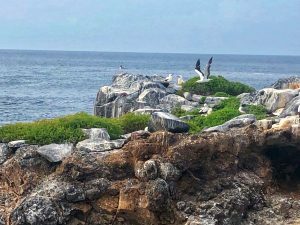 There are so many endemic animals to see such as, penguins, fur seals, giant tortoises, marine iguanas, blue-footed boobies, red-footed boobies, nasca boobies, hawks and much more. There are 400 species of fish surrounding the islands as well. We stayed for 5 days on a boat that slept about 32 people but there were only about 24 staying on the boat when we were there. Our itinerary was similar to the Amazon with activities in the morning until about 11am and then again in the afternoons. 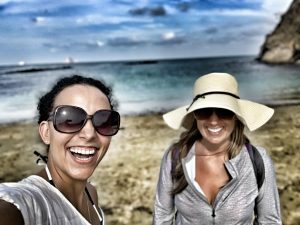 We would snorkel some days for both morning and afternoons along with a hike/walk on the islands to see the wildlife on land and in the ocean. We learned about the marine iguanas, seals, blue, red and nasca boobies, we saw crabs, swam with the giant turtles and seals. I saw so many different types of sea life including go fish, barracuda, baby shark, and so much more. There were fish that I had no idea how to identify, big and small as I’d never seen them before. Unfortunately, my friends Maria got really bad motion sickness on the boat. Not that it ever slowed her down, remember we imagine ourselves superheroes. 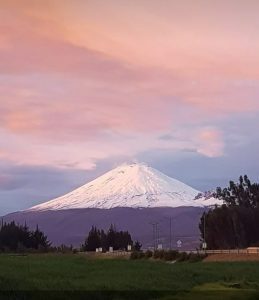 😉 Funny though that while I had bad altitude sickness in Quito at the first part of our trip we switched and instead, she was not feeling well on the boat but, I was fine. Of course, none of this stopped either of us from soaking in every minute of our trip and enjoying it. Although, I don’t think she’ll be going on a boat anytime soon. 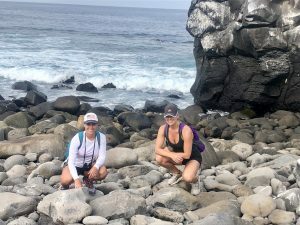 So, Ecuador: My amazing trip to the Amazon Rainforest, Cotopaxi, and Galapagos Islands all in all was truly an incredible trip, a once in a lifetime adventure that I will remember forever! I highly recommend all to go and see. If you need contact information for our travel agent, feel free to ask. They were Maria’s friends and did a wonderful job making sure we were well taken care of and had a wonderful time. This was a trip of a lifetime! 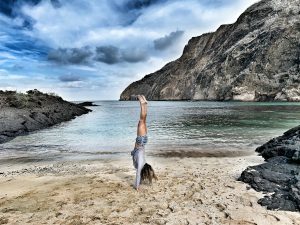 Couldn’t have said it better myself – great article Leila!